Baroque music, particularly the influence of Italian music in 17th- and 18th-century France. “Music in the Service of the King’s Brother: Philippe I d’Orléans (1640-1701) and Court Music Outside Versailles,” Journal of Seventeenth-Century Music 19 (2013). “Campra et le régent : querelles, rivalités et avancées de l’harmonie française,” Itinéraires d’André Campra (1660-1744), d’Aix à Versailles, de l’Église à l’Opéra, ed. Catherine Cessac (Wavre, Belgium: Mardaga; Versailles, France: Centre de musique baroque, 2012), pp. 25-39. Critical edition and commentary: Jean Martin, “Serenade” and “A Force de branler la mâchoire” from Premier livre d’airs (Paris: Christophe Ballard, 1688), Web Library of Seventeenth-Century Music 25 (June, 2012). Received its world premier performance by the Nordic Baroque Band, 6 Nov. 2015, Stockholm, Sweden. “The Goûts-réunis in French Vocal Music Through the Lens of the Recueil d’airs sérieux et à boire (1695-1710),” Revue de musicologie 96/2 (2010): 1-43. Critical edition and commentary: Antonio Biffi, Miserere mei, Deus (ca. 1702), Web Library of Seventeenth-Century Music 15 (Oct., 2009). Received its international public premiere at the Utrecht Early Music Festival (Holland) by the ensemble Le Parnasse français, directed by Louis Castelain, on 24 Aug. 2013. “Philippe II d’Orléans’s ‘chanteurs italiens,’ the Italian cantata, and the Goûts-réunis under Louis XIV,” Early Music 35/2 (May 2007): 237-249. “The ‘Cabale du Dauphin,’ Campra and Italian Comedy: The Courtly Politics of French Musical Patronage Around 1700.” Music and Letters 86/3 (Aug. 2005): 380-413. “The Honnête homme as Music Critic: Taste, Rhetoric, and Politesse in the 17th-Century French Reception of Italian Music,” Journal of Musicology 20/1 (winter 2003): 3-44. 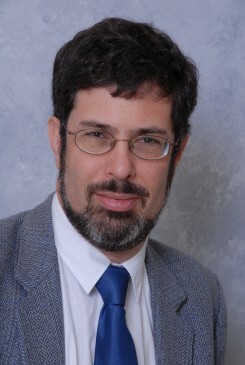 Don Fader (Associate Professor of Musicology) joined the tenure-track faculty at the UA School of Music in 2008. He holds an A.M. in the performance of historical wind instruments (1993), and a Ph.D. in musicology (2000) from Stanford University. Before coming to UA, he taught at Indiana University, the University of North Carolina at Chapel Hill, and UNC-Greensboro. Dr. Fader’s research takes in a broad spectrum of issues relating to the Italian style in 17th- and 18th-century France, and his interests range from performance practice to cultural history, and aesthetics to the history of theory. His work on French baroque music began as laureate of the Bourse Chateaubriand and Chercheur Associé at the Centre de Musique Baroque at Versailles (1997-98). Dr. Fader is the author of two editions as well as numerous articles and book reviews in collections and journals, including Journal of Musicology, Music & Letters, Early Music, Revue de musicologie, and the Journal of Seventeenth-Century Music, among others. His article, “The ‘Cabale du Dauphin,’” received the Westrup Prize as distinguished contribution to Music & Letters for 2005, and the collective volume, Itinéraires d’André Campra, in which his essay appeared, won the 2013 Prix du patrimoine (ACDA, Paris) for the best francophone collection of essays on music. In 2016, he was awarded a fellowship from the National Endowment for the Humanities for work on his book, Italian Music in Louis XIV’s France. He currently serves as Reviews Editor for the Journal of Seventeenth-Century Music. A professional recorder player and amateur harpsichordist, Dr. Fader combines his interests in musicology and performance through courses in performance practice and the coaching of ensembles in various styles of early music. He collaborated with Gesa Kordes in founding the University of Alabama Early Chamber Ensembles in 2009. Dr. Fader has played, lectured, and given master classes on performance practice at numerous festivals and institutions. He has performed with orchestras and chamber ensembles in the United States and Europe, and has been heard on National Public Radio’s “Harmonia” and “Performance Today.” He has been concerto soloist with the Bloomington Early Music Festival Orchestra, the Indianapolis Baroque Orchestra, the Staunton Music Festival, TroisdorfBAROCK, the Dayton Bach Society, SarabandaBonn, and the Palo Alto Chamber Orchestra.